There comes a point where you’re ready to just have your car gone. Here’s a common scenario. Maybe you’ve had it listed with an online classifieds website for weeks, or even months. You’ve gotten dozens and dozens of emails, plus your fair share of texts and phone calls that have come in way too late at night. You’ve set up times to show your car to people, and they’ve come and look at your car. Most of them say the same thing: they’re looking for something in better condition. And, eventually, you reach a point where you’re just tired of dealing with the stress and hassle, and want the car gone right away. Or, maybe your situation’s a little more dire. Maybe your car broke down on the side of the road somewhere. You know it’s going to need thousands of dollars in repairs: for example, the transmission is dead, or the head gasket is blown. And, you know that even in good, operating condition, the car’s worth $1,000 or so at best. So, you’re ready to get rid of it and take cash for its scrap value. But you don’t want to deal with towing it to your house, and then on top of that trying to find someone to buy it: you just want some to come pick it up, ASAP. When you call, you’ll speak with a friendly customer service representative. They’ll ask you a few simple questions, and take down some information about your vehicle. Once they have everything they need, they’ll quote you a price for your car. 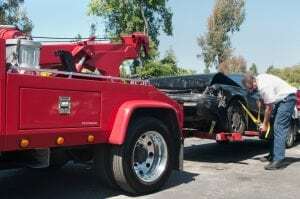 After you’ve accepted the offer, you can schedule a time for one of our tow truck drivers to come and pick up your car. Depending on how early in the day you call, it’s often possible for someone to come and haul away your car the same day. If nothing else, we’re generally able to pick up any car in less than 24 hours. Now for the fun part. You’ll need to be there when the driver comes to pick up your car. Why? Well, for one thing, you’ll need to demonstrate that you’re the owner. But, more importantly for you, you’ve got to be there so you can get paid in cash for your car! If you’re ready to get rid of your junk car right away, don’t waste time trying to sell it online. Instead, call a company like Junk Car Traders right away, and say goodbye to that junk car!